Brian McCarthy, Ray Mulholland, Gordon Campbell and Owen Campbell. The Seakers were actually a renamed version of Gene and the Dynamites, after Gene left in April 1964. They continued their residency at the Shiralee and changed their musical style to more of a pop flavour, closely emulating the sound of the British Searchers. It wasn't long before they shifted to better residencies at the Platterack and the Top 20 Club. Gordon Campbell wrote a song called "My Arms Want To Hold You". They were given an opportunity to record it at Stebbing's Studios and along with another song called "You Could Have Fooled Me", the single was released on Zodiac in the middle of 1964. The single was very successful, reaching number 2 on the local Auckland charts. This allowed them to make an appearance on local television and gain far more exposure. Bookings were then received for them to work outside of the Auckland area. A second single "Long Long Time"/"I've Had It" was also released in 1964. An album was recorded in February 1965, but wasn't released immediately. After the album was recorded, Gordon left the group to join his brothers flourishing advertising agency. His place was taken by Ray's brother Lyndsay Mulholland on bass. Lyndsay had previously played with the Spartans. 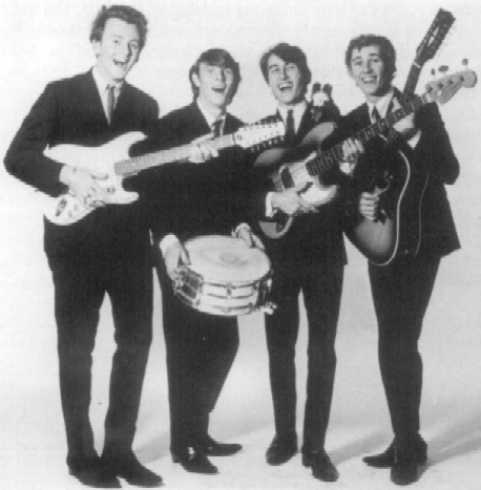 At this time they changed their name to the Rayders, in order to avoid any confusion with the very successful and popular Australian group, the Seekers. The album they had recorded earlier was released under the Rayders name, as was their second single when it was released in Australia.